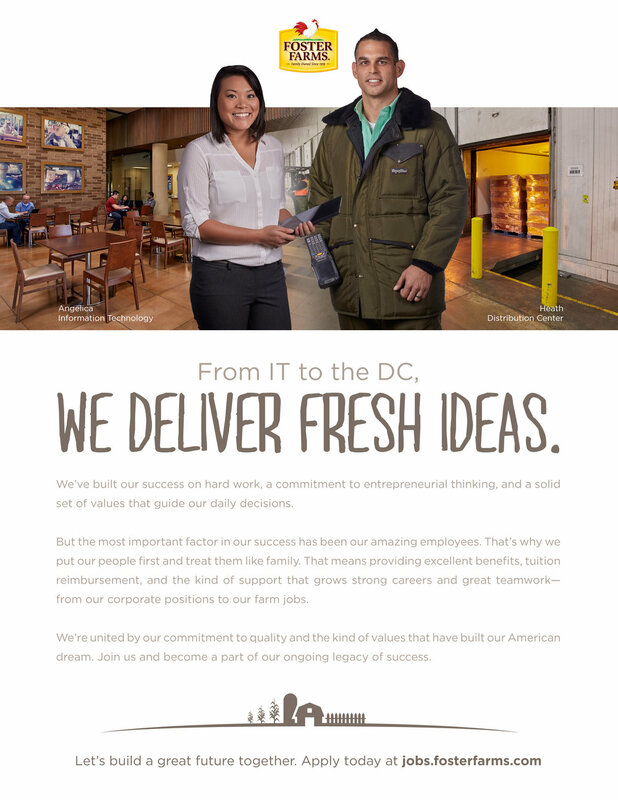 While rooted in strong values, this well respected brand was ready for a change. 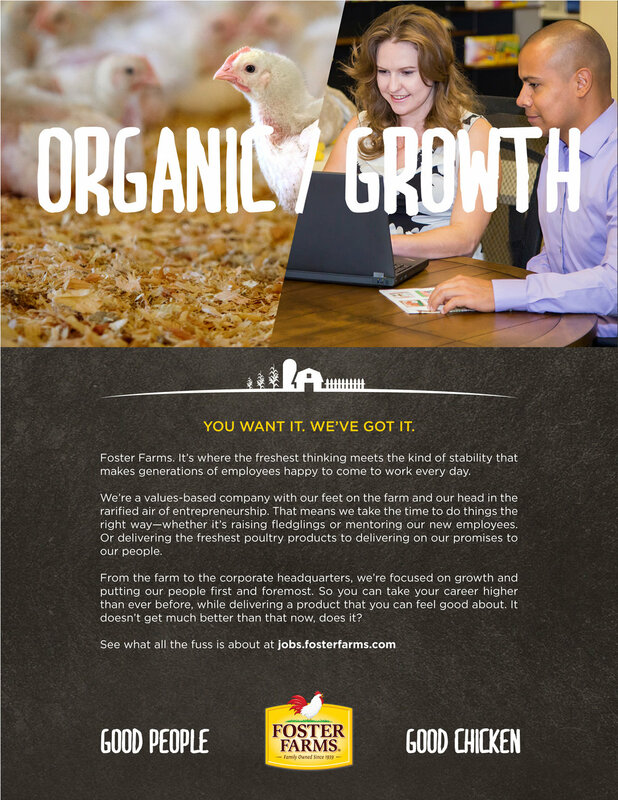 Foster Farms wanted to freshen up their look and messaging to align with the innovative advances taking place throughout the company. 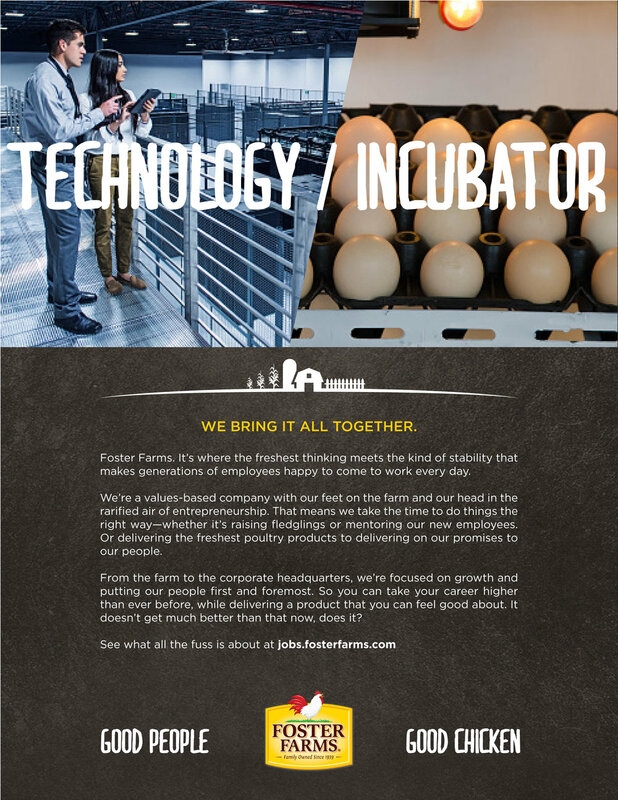 Seen by many as only a old-school chicken farm, the company wanted to broaden their story to highlight their technology, marketing, and product innovations, as well as the broad range of business needs within the company. To help modernize their brand, we developed two distinct concepts that told their story in a fresh new way. One of our concepts cast new light on the company’s direction by cleverly juxtaposing common business terms, while the other direction highlighted how the company comes together to advance innovation while staying true to its core values. After testing, our “Anthem” concept won out, showing the seamless collaboration and supportive environment as hallmarks of the Foster Farms experience. Our client loved the website and the image library we created for them, saying that the new brand work stayed true to their history while creating a modern, inviting look and feel to align with the business’s upward trajectory.